Kamal Haasan said it was wrong of people to demand a ban on the period drama before even watching it. New Delhi: Actor Kamal Haasan today said that people are being "oversensitive" about release of director Sanjay Leela Bhansali's film "Padmavati" which is facing nation-wide protests. The 63-year-old actor further said it was wrong of people to demand a ban on the period drama before even watching it citing example of his film "Vishwaroopam" which also falls in the same genre. "I haven't seen the film (Padmavati). Nobody saw 'Vishwaroopam' still they wanted me banned. It's wrong. It should come out and if then there is something then I can understand. I think we are being oversensitive. 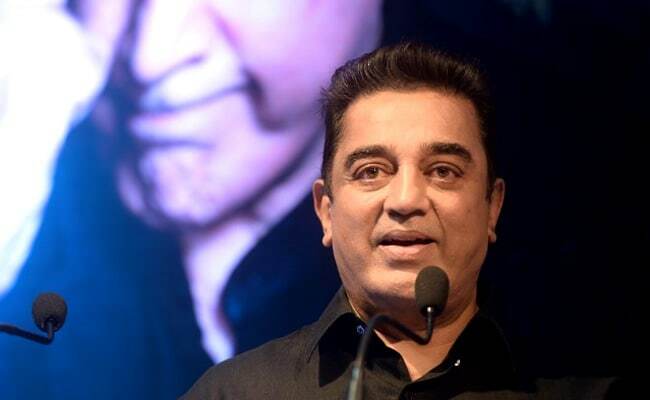 I'm not talking as a filmmaker but as an Indian," Mr Haasan said. The actor was speaking at a discussion at the Times Delhi LitFest today. "Padmavati" has been facing troubles with various Rajput groups and political leaders, who have accused Bhansali of "distorting historical facts" and depicting queen Padmavati in the wrong light. It was rumoured that there is a romantic dream sequence in the film between Padmavati (Deepika Padukone) and Sultan Alauddin Khilji (Ranveer Singh), a claim which the director has time and again rejected. Mr Haasan said he has faced such protests with a lot of his films in the past. He said the people in the country have become cynical and believe every negative thought when they hear it. "What happened with 'Hey Ram'? Some Congress leader, just by looking at the poster, thought there is something wrong in it. They don't know what I'm making and they are saying that it should be banned. They judged a film without even seeing it," he said. "We are ready to believe the negativity. We have become cynical," he added.